There’s nothing quite like climbing into bed at the end of a long day and sinking into the covers for a good night of rest. 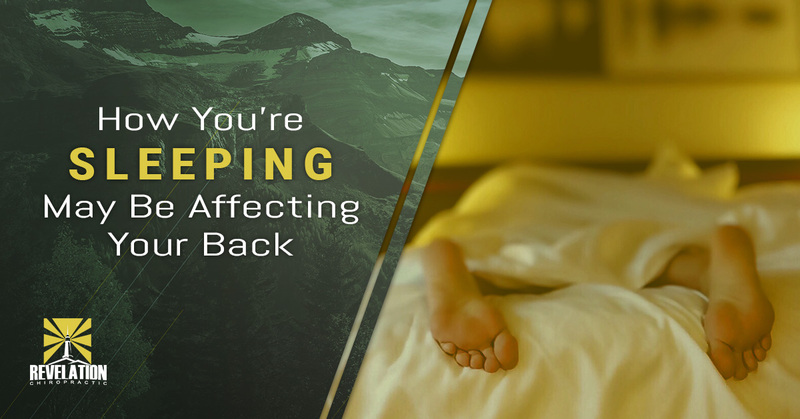 Sleeping is something that we all do, and while it’s something that we all need, there’s a chance that the way that you’re sleeping could be taking a toll on your back. In our last blog post, we mentioned four of the most common causes of back pains, but we left out sleeping and the horrible habits that many people have when it comes to getting their beauty rest. Our blog today is entirely dedicated to some of the things that you can do when sleeping to ensure that your back health is always a priority and, hopefully, reduce some of the discomforts that you may be experiencing first thing in the morning. Let’s dive in! Sure, this is something that makes a lot of sense when suggested, but practicing it? Definitely not as easy as it sounds. Sleeping on your back is easily the position that yields the best results for your body; however, it’s also one of the least common positions that people sleep in. Sleeping on your back is good for a couple of reasons. 1: Sleeping on your side puts a lot of pressure on your hips, which can also lead to straining your back. 2: Sleeping on your stomach puts your neck in a very unnatural position, which strains your entire spine the next day. This is the sleeping position that will most often lead to that horrible neck tension that you feel in the mornings. By sleeping on your back, you are providing your body with all of the support that it needs in all of the right places. Because you are on your back, your body weight is evenly distributed, and your organs are perfectly aligned. You’re also giving your head some added support and your neck is in a natural position leaving you feeling rested and pain-free in the morning. We fully realize that suggesting to change your sleeping style is going to be easier said than done, so here is a tip for all you side sleepers out there: switch sides. Switching the side that you’re sleeping on is an excellent way to ensure that you’re not putting too much pressure on any one side, but rotating them evenly. Aside from placing pressure on your hips, sleeping on your side has also proven to be associated with back pain, muscle imbalance and, in some of the more serious scenarios, scoliosis. If you know that you’re not likely to break your habit of sleeping on your side, then one thing that you can do to make it better for your body is to put a pillow in between your legs. This helps keep your spine and pelvis in line while sleeping. Without a doubt, mattresses are expensive. They’re a purchase that you need to plan for and take time to learn about before actually making the purchase. While they are a more significant purchase and you may want to go with the more affordable option, this is one purchase that you should invest adequately in. The average person will spend ⅓ of their life in bed, and when they’re sleeping on a mattress that isn’t properly supporting their body, they’re bound to wind up with back pain. Having a good understanding of your body type can provide you with some insight on what type of mattress is going to best suit your needs. Combining the advice of your chiropractor with that of the mattress salesman will increase the chances of finding a bed that truly provides you with a good night of rest that also takes your body’s well being into consideration. The team at Revelation Chiropractic wants to make sure that you’re getting the best night of sleep possible, while also minimizing the chances of back pain or muscle strain in the morning. Contact us today to schedule an appointment or consultation, and we would be happy to sit down and help you regain your back health.